Hi, Thought to share my experience with Flexistay, It was really one of the awesome apartment with superb service and very helping staff, beleive me they are just a call away whenever you need them give them a call and they would reach you mins. Flexistay’s Croydon Serviced Apartments offer high quality, contemporary accommodation in the cosmopolitan town of Croydon. The apartments are based in a semi-residential road, just a 5-minute walk from the center of Croydon, with its shops, bars and restaurants. Liverpool Street with a journey time of around 16 minutes. 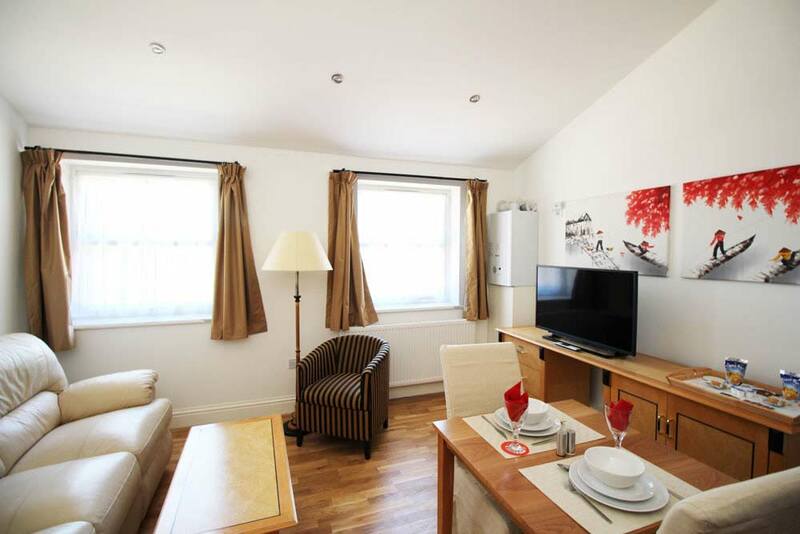 The property comprises a range of accommodation, from compact, private studios to spacious, three-bedroom suites. Each apartment is self-contained, fully furnished and tastefully decorated. The accommodation is well appointed with everything you need for your comfort and convenience. It includes a fully equipped kitchen/kitchenette, a separate ensuite with shower, laundry and ironing facilities and a flat-screen Freeview television. There is also free high-speed wi-fi throughout the building and free onsite car parking. The apartments receive a weekly cleaning service, which includes the provision of fresh towels and bed linen. More regular cleaning can be arranged, if required. The deluxe apartments have maintained a four-star rating from Visit England for the last five years. The apartments offer exceptional value for money. They are approximately a third of the cost and three times the size of the accommodation you will find in Central London. Croydon is the main town in the South London Borough of Croydon. It is a popular shopping destination, with one of the largest retail districts outside Central London. Croydon has plenty of outdoor space, with woodlands, parks and landscaped gardens to explore. If you are more of a culture vulture, the town also has several arts venues where you can enjoy independent and mainstream cinema, theatrical performances, live music and comedy. find a host of big names, independents and local food retailers. If you prefer to prepare your own food and eat in, there is also a selection of local food shops and supermarkets including Sainsbury’s, Morrisons and Waitrose. Every one bedroom apartment consists of a double bedroom with private bathroom, private lounge and private, fully-equipped kitchen. The property is decorated to a high standard and offers free W-Fi and weekly cleaning service. Double studio apartments which consist of double bed, private bathroom and private fully-equipped kitchen. Close to East Croydon station. Room comes with free Wi-Fi and weekly cleaning service. We have two 3-bedroom apartment configurations. One consists of 3 double bedrooms, with a private bathroom, private lounge and private, fully-equipped kitchen. The other consists of 1 double-double plus 2 twin rooms (with 2 single beds per room). This includes 2 private bathrooms, private lounge and a fully-equipped private kitchen. We have several 2-bedroom apartments with different configurations. One consists of 1 double bedroom plus 1 single bedroom, with 1 private bathroom, private lounge and private, fully-equipped kitchen. Others consist of 1 double bedroom plus 1 twin bedroom (2 single beds), with 2 private bathrooms, private lounge and private fully-equipped kitchen. All come with free Wi-Fi and weekly cleaning service. Standard double studio apartments which consist of double bed, private bathroom and private fully-equipped kitchen. Close to East Croydon station. Room comes with free Wi-Fi and weekly cleaning service. Whatever method of transport you choose, our location could not be better. We are situated within a 10-minute walk of Croydon’s many restaurants, clubs, shopping centres and East Croydon train station. The Fairfield Hall theatre is only 200 yards away. Train: East Croydon mainline station takes you to the heart of London in just 20 minutes or catch one of the regular services to the south coast. There is a regular train service to Gatwick Airport taking 15 minutes. Road: From the M25 (Junction 8), Croydon is less than 10 miles distance on the A23.